There is a distinct defensive flavor to the top prospects from California for next week’s NHL Draft in Dallas. 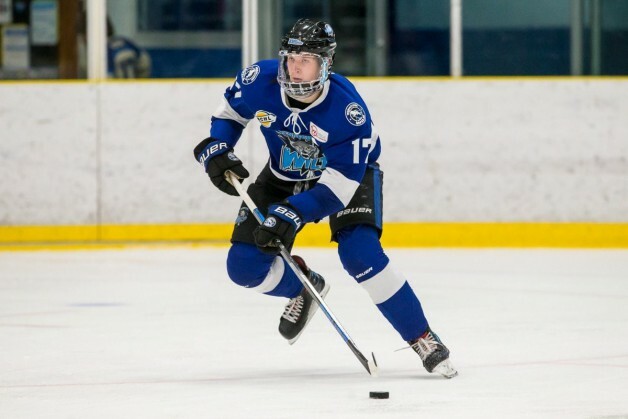 Wenatchee Wild (BCHL) defenseman Slava Demin, a 2000 birth year and Cypress native, was rated No. 40 among North American skaters by NHL Central Scouting in its final rankings of the season. Sioux Falls Stampede (USHL) defenseman Jack St. Ivany, a 1999 and Manhattan Beach native, was rated 119th. Michigan State University center Patrick Khodorenko (Walnut Creek), a late 1998, was rated 127th. The 6-foot-2, 187-pound Demin entered the RBC Cup, Canada’s Junior A championship series, with 52 points, including 11 goals, in 77 total games. That was an increase of 20 points over his rookie season for Wenatchee. “As an offensive defenseman, he’s a heck of a prospect,” a rival coach said of the former Anaheim Jr. Duck and Wildcat, who has signed a National Letter of Intent to play at the University of Denver starting in the fall. “He’s going to have a great college career and probably a good pro career after that. The 6-foot-3, 198-pound St. Ivany went from 10 points in his first season of junior to 39 in 57 USHL games this season. The longtime LA Jr. King and LA Select is committed to Yale University for the 2019-20 season. Khodorenko, who played for several clubs, is among the Californians who are already playing college hockey that have a chance to be selected. The 6-foot, 206-pounder had 32 points (13 goals) in 36 games as a sophomore for the Spartans. Another is University of Minnesota forward Brannon McManus, a 1999 and Newport Beach product who played for the LA Selects, and goes 5-10 and 180. McManus had nine points as a freshman for the Gophers after two solid seasons in the USHL and a couple of spectacular ones (120 and 86 points) at Shattuck-St. Mary’s Prep in Minnesota. There were six players with ties to the state selected at the 2017 draft.